We love custom #sneakHERstyle here at CNK. From Frankie Collective to Chakierrah Stinson, we’ve always kept you in the loop when we find these amazing streetwear designers. Recently, Leslie Gomez’s Tryna B popped up on our radar with a reworked basketball purse seen on @wuzg00d. 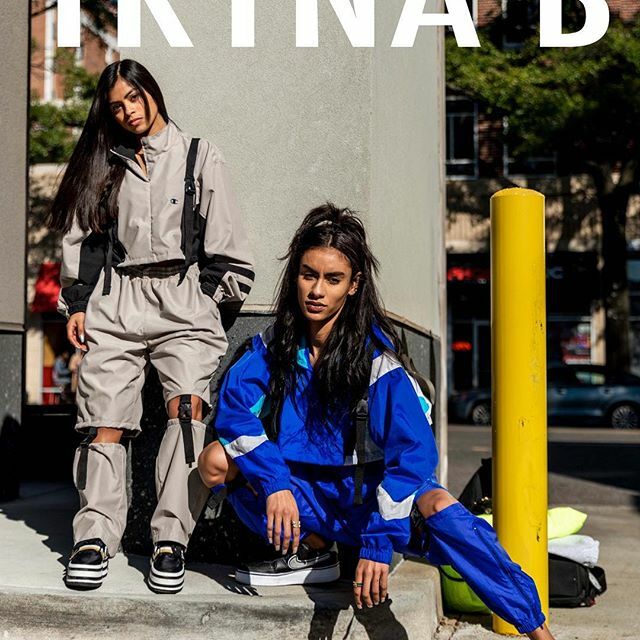 The Birmingham, AL based brand also creates one of kind Nike and Champion two-piece sets, super on trend clear PVC Nike bags, and Nike bralette tops. Take a look at some of Tryna B’s work below! The brand specializes in reworking thrifted items to create something new. I love this concept because all of the items are one of a kind and that makes it so much more special. All of Leslie’s pieces are handmade and sold on her website linked below. We can’t wait to see what all Tryna B releases next!